Sweetwater Community, Inc. is a Not-For-Profit Corporation owned and managed by the residents of Sweetwater and it is run by an Elected Board of Directors. 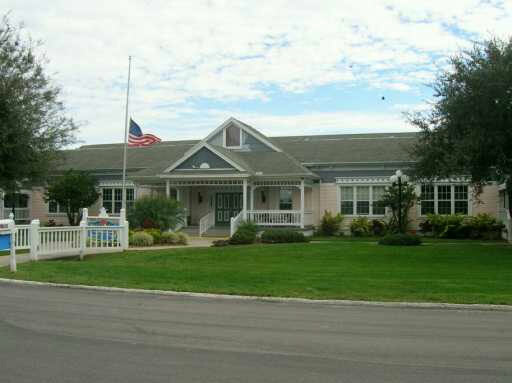 This over 55 community is located between Haines City and Lake Alfred on U.S.Hwy l7/92 West. Its location allows easy access to both Orlando and Tampa, and to major attractions, shopping, recreational facilities and hospitals. Development of Sweetwater began 1988. The community was purchased by the resident shareholders in 1996. Since that time, the residents have worked together to keep their community the best possible place to live and play. Sweetwater is a great place to call home. Sweetwater is pleased to offer the finest services and recreation anywhere. Sweetwater Residents enjoy all that a gated, golf community has to offer. Our biggest plus is that every resident owns his or her home and lot. No leased land or big corporate profits here. Sweetwater is golfer's paradise. You can enjoy your own l8-hole Executive Golf Course exclusively used by resident shareholders. Just call your Pro Shop when you and/or your guests are ready to play. Play tennis, shuffleboard, bocce ball or horseshoes. Swim in your heated pool or relax in your hot tub. Work out in your exercise room. Stroll down the Marina road, past resident grown gardens to your boat dock situated on Lake Henry. You'll enjoy a thousand acre lake to take your boat out for a moonlight cruise or drop a line and try your hand at fishing. Your million-dollar clubhouse is the gathering place for cards, crafts, bingo, dinners, live entertainment and other planned activities. The Clubhouse also houses a billiards room and library. Gather in the Pub, which is open seven days a week, for lunch (seasonal), birthday parties, karaoke night, darts or to just relax. Yes, Sweetwater residents enjoy a wonderful lifestyle. Best of all, Sweetwater, in comparison to many local communities, is affordable. Included in your low maintenance fee are cable TV, trash pickup twice a week, water and sewer.